Cushnie heads to the runway with her Spring 2019 solo collection. See all the Cushnie et Ochs Fall 2018 looks from the runway. See all the Cushnie et Ochs Spring 2018 Spring 2018 looks from the runway. See all the Cushnie et Ochs Fall 2017 looks from the runway. See all the Cushnie et Ochs Spring 2017 looks from the runway. See all the Cushnie et Ochs Fall 2016 looks from the runway. Cushnie et Ochs gives us the top five dos and don'ts of how to coordinate your clothes with your best friend. Our September guest editors reveal their favorite celebrities wearing Cushnie et Ochs. Cushnie et Ochs' little black book on where to eat, shop and drink in New York City. Cushnie et Ochs gives us a behind-the-scenes look at their NYFW Spring 2016 runway show. Meet our September Guest Editors Carly Cushnie and Michelle Ochs of womenswear label Cushnie et Ochs. Eye-catching accents define this week’s Style Showdown. Zoe hit the dark blue carpet in a crimson Pre-Fall 2015 structured sleeveless dress. This week’s showdown is all about bright pops of color. 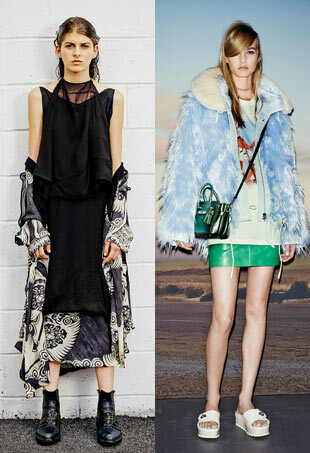 We caught up with the design duo after the show to talk inspiration, favorite pieces and more. 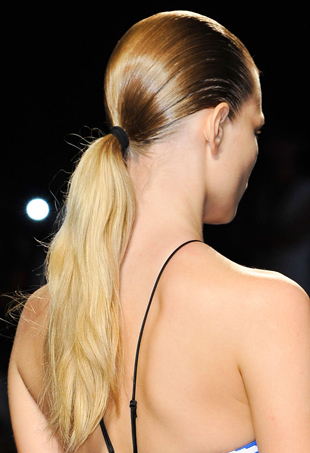 This season, it's about making your ponytail look like you just left the gym. Fashion Week is officially underway, and forum members (as usual) are getting vocal about what they did and didn’t like. See all the looks from the Cushnie Et Ochs Spring 2015 runway show.